Xbox Music is Microsoft’s subscription based ‘all you can eat’ music service, where you pay a subscription fee and then stream as much music as you want. 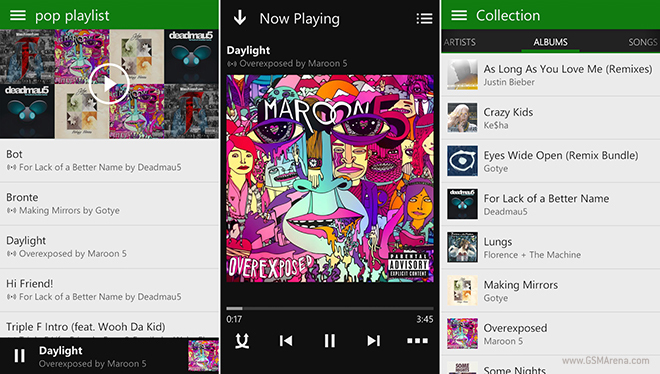 You will need to purchase the Xbox Music Pass that enables you to use the service. You can get a free 30-day trial and if you wish to continue there is an option of $9.99 monthly or $99.99 annual subscriptions. If you have one already you can just log in and start using the service on your iOS or Android device. The current versions of these apps don’t support offline playback but Microsoft has promised this feature in a future update. The service is only available in a handful of countries as of now so if you don’t see the app in your store assume the service is not available there.